Cory Grosser + Associates (CG+A) is a globally successful, boutique design studio based in Pasadena California. The studio specializes in leveraging beautiful design to create emotional connections between clients and their customers. This approach is called “Creative Intelligence” whereby design is the force behind creative strategies for business and engaging narratives for people. The studio’s work lies at the intersection of commerce and culture and includes; architectural design, furniture design, brand strategy, and creative direction. Although small and highly focused, the studio has helped some of the world’s largest and most prestigious brands use design to succeed in the modern global marketplace. Selected clients include: Bentley, Bernhardt Design, Disney, Ford, Hyundai, Samsonite, Steelcase, Supplyframe and Universal Studios. Over the past 16 years, CG+A has evolved to operate under an “associates” model, whereby each discipline of the studio is led by a highly skilled architect, product designer, graphic designer, or strategist, respectively. This structure, combined with a highly collaborative studio culture, allow each project to benefit from the both the experience of senior level designers and the fresh perspective of a team with diverse areas of design expertise. In 2018, CG+A opened its first location outside of California in Dubai, UAE. A collaboration years in the making, CG+A Dubai is led by a team of talented local architects, designers, and engineers who are dedicated to bringing the studio’s unique design approach and aesthetic style to the UAE. large corporations and teaching the next generation of designers. His work has been featured in books and journals worldwide, including the covers of several magazines. Surface Magazine named him one of the Top Avant-Garde Designers in America” His work has appeared in television and movies in America and abroad. Cory has won several awards, including an ID Magazine Design Review Award, Best of Neocon Award, a Gold Award at IIDEX, and an I.Dot selection representing the best of Italian Design. His work has been shown in exhibitions and museums worldwide. Cory is active in design education as a faculty member of Art Center College of Design in Pasadena, CA. He's taught advanced studios sponsored by Chrysler, Roxy, Honda, Ford, Indy Racing League and Bernhardt Design. 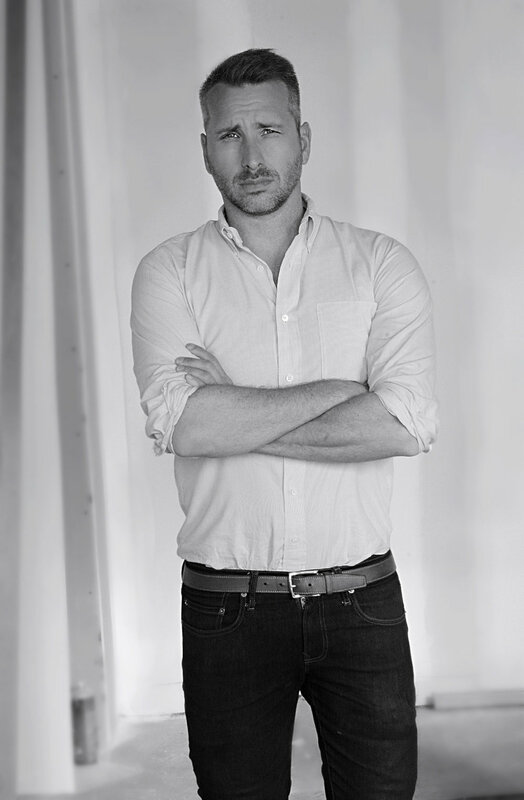 He has also served as a judge in several design competitions including the 2007 Bombay Sapphire Designer Glass competition, the selection committee for the Salone Satellite in Milan and the Spark awards. He has given talks and lectures internationally in cities as diverse as Milan, Toronto and San Salvador. Born in Rochester, NY, Cory holds an Architecture degree from the State University of New York at Buffalo and an Industrial Design degree from Art Center College of Design. He has two daughters, Elle and Harper, who provide endless inspiration and always keep him on his toes. Christy is our studio director and interiors project manager. An expert communicator, Christy’s role is to make sure that every project, client, and team member has the resources and support needed to succeed. With over 10 years of experience in large scale commercial projects, Luis leads our Los Angeles architecture team with his signature attention to detail and enthusiasm for problem-solving. Cora is our product design extraordinaire, taking projects from ideas to reality through a rigorous creative process of ideation, research, design development, 3D modeling, and extensive prototyping. Aamer is an MBA degree-holder and experienced project manager. In addition to being a natural leader, Aamer brings a wealth of knowledge and technical skills to our architecture team in Dubai. Nationally recognized as one of the UAE’s rising stars, Ohood brings to our architecture team a honed set of design skills, fresh point of view, and unwavering entrepreneurial spirit. Su is our press manager and media strategist. She supports both our Pasadena and Dubai offices with public relations and strategic engagement through media platforms.